Significant life events - adoptions, power of attorney, elder care, passport/visa applications - all require official, notarized documentation. You need someone you can trust to complete your notarial act accurately. I take my job as a notary extremely seriously and take pride in guiding you through this sometimes emotional, sometimes overwhelming process. Document notarization must be handled correctly the first time, every time; there is no room for error. Every transaction is unique and therefore each notarial act receives my undivided attention and extreme focus to detail. Count on me to ensure that your confidential documents remain private and secure. I have performed over 10,000 notarizations including affidavits, loan document signings, deeds of trust, adoptions, power of attorney, permission to travel and much more. 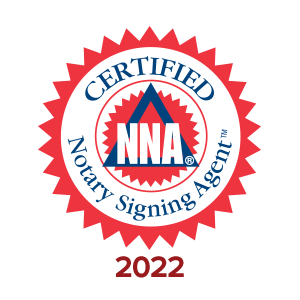 As a proud member of the National Notary Association and the San Ramon Chamber of Commerce, I understand the significance of the notary process and offer all clients the highest level of security, professionalism and business expertise. Flexibility, integrity and reliability are a must in this business; therefore, I will work around your busy schedule and promise prompt delivery (next day when applicable) of all your secured, notarized documents. I am personally available 24/7 and always show up on-time and meticulously prepared for all appointments. 925 Notary handles the entire notary process from signing to document delivery. I pride myself on providing exceptional customer service, being extremely detailed-oriented and successfully handling client-sensitive situations. I am intrinsically familiar with the requirements across a broad range of document notarizations making every transaction smooth and complete. All of my work is 100% guaranteed. Please contact me and let me know how I can fulfill your notarization needs. I can be reached at 925.355.1752 (work), 925.404.3013 (mobile) or michael@925notary.com for more information. 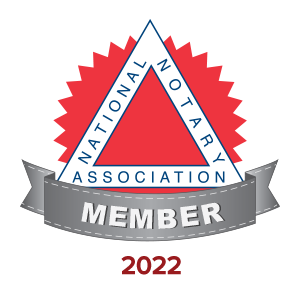 I am a proud member of the National Notary Association and the San Ramon Chamber of Commerce. "Simply put, Michael is the most professional notary with whom I have ever worked." "Michael saved our vacation, coming to our home at midnight to notarize Consent to Travel forms." "When we have a signing in the Tri-Valley, Michael is the first notary we call." "I've used Michael multiple times. He is always prompt, polite and thorough." "Michael not only notarized my documents, but he arranged for an Apostille from the Secretary of State so that the Power of Attorney could be recorded in Romania."